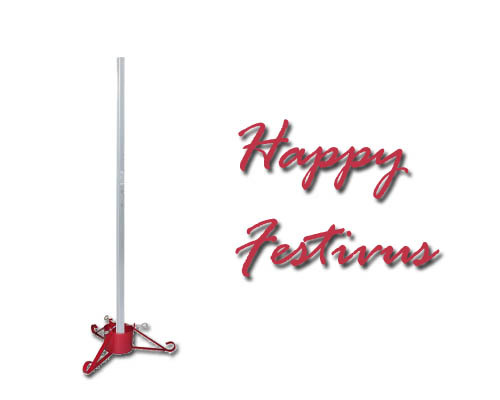 Festivus is officially celebrated on December 23rd…so we’re late a couple days. Happy Festivus to everyone, especially Bill O’Reilly! Do you need a last minute holiday gift? You came to the right place! Fox News talk show host Bill O’Reilly, whose only goal in life is to look out for you, has released a new book just in time for you to buy it and stuff it… in your stocking for Christmas, Festivus or whatever the hell holiday you celebrate this time of year. He gives key strategies on dealing with people who have non-Christian ideologies and how to beat the holy hell out them, all in the joyous spirit of the season. And with a foreward by Ms. Ubetcha, how can anyone refuse! 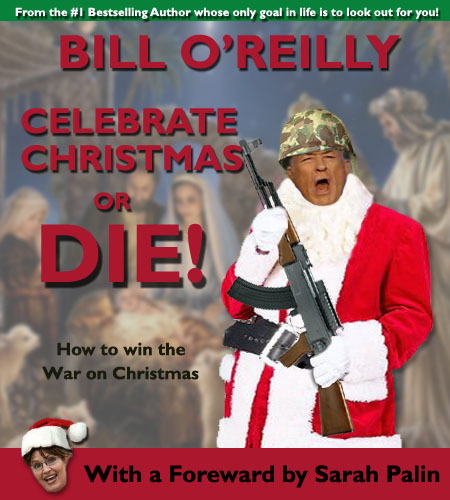 Fox News talk show host Bill O'Reilly, whose only goal in life is to look out for you, has released a new book filled with strategies on how to annihilate anyone who has the audacity to wish you 'Happy Holidays' instead of 'Merry Christmas'. The holiday season is in full swing. If you haven’t spent yourself into bankruptcy yet and are still looking for the right gift for that special someone in your life, look no further. Our intrepid staff has conveniently compiled a list of the hot “gotta have it” items for this years holiday season. Take this to the mall and don’t forget your helmet, spiked gloves and shoulder pads. Holiday shopping is dangerous! iPads, iPhones, Androids and other mobile devices are everywhere and you can really observe this when you go xmas shopping your nearest mall. In the olden days, one might turn to the person shopping next to them or standing in line and start a conversation. Now, everyone is having conversations… on their cell phones. They’re chatting with their best friends about the bargains they’re seeing or they’ve got their heads down gazing at their smart phones checking their all important Facebook status. Happy Holidays folks, but please don’t talk to us…we’re playing Angry Birds. 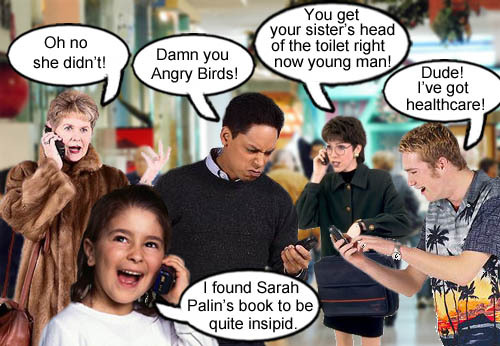 Everyone is spreading holiday cheer this year at the local shopping mall by constantly checking their mobile devices and having conversations...on their cell phones. Well it’s the holiday season so that means that it’s time to go out and shop for all your loved ones. So what should you get your baby or toddler this year. Skip the toys, dolls and stuffed animals. 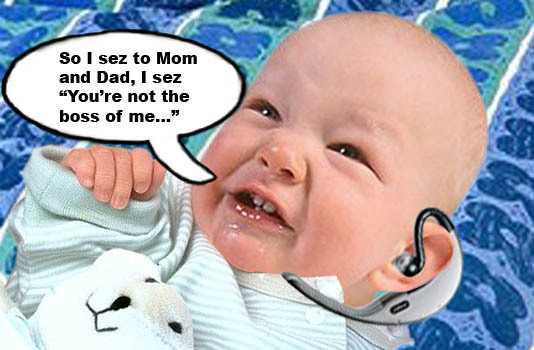 We think there’s no better gift to give your infant than a cell phone and bluetooth. Mobile devices are ubiquitous these days and you might as well get your little one wired up as soon as possible because there is nothing more important in life than staying connected to the grid. Wireless companies are targeting an increasingly younger audience these days.